Ambitious efforts of U.S. pellet producers are keeping pace with soaring international wood pellet demand. According to recent data from Pellet Mill Magazine, there are 14 pellet facilities under construction in the U.S. with a total production capacity of 4.8 million tons, and 27 proposed plants totaling 7.6 million tons in new capacity. 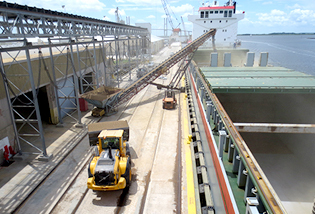 This development boom has prompted multiple port upgrades to accommodate and capitalize on opportunities offered by the pellet industry build-out in the Southeast, and from Florida to Georgia to Louisiana, producers are joining forces with ports to satisfy overseas pellet demand. During this Jan. 31 webinar, learn the details of three port-partnered pellet projects under development, as well as what it takes to implement as successful pellet export project.